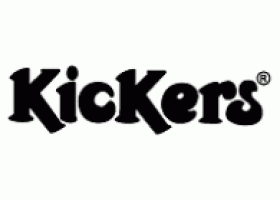 Kickers is an iconic brand that creates beautiful boots and shoes with standout charm – loved since 1970, and still as relevant as ever. From the classic Kick Hi boot to on-trend shoes and boots for men and women, and our wildly popular kids’ shoes – Kickers offers craftsmanship and comfort that lasts. Our founder, Daniel Raufast, was inspired by the revolutionary spirit of Parisian students when he created the first Kickers boot.